← How Do You Like Your Kare-Kare: Seasoned or Under-Seasoned? 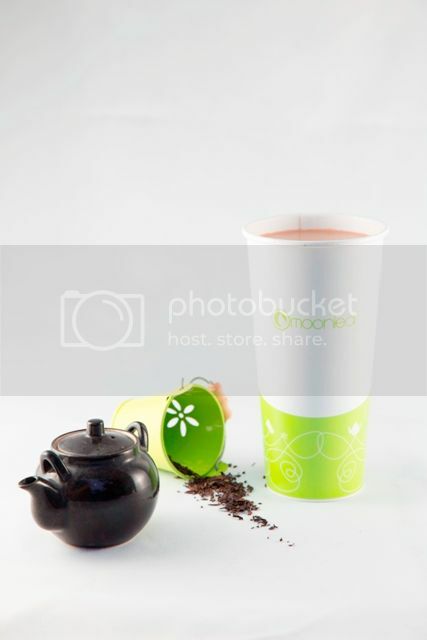 Hot Drinks Now Available at Moonleaf Tea Shop! Good news to all tea aficionados out there! Moonleaf Tea Shop has recently launched its Hot Drinks line, which includes the following: Black Tea, Jasmine Green Tea, Oolong Tea and Earl Grey Tea. There are also milk-infused variants, like Wintermelon, Vanilla and Caramel Milk Teas, among others. Customers who are looking for a stimulating burst of fruit flavors may also try Moonleaf’s Lychee Jasmine, Passion Fruit and Lychee Aloe Vera. ‘Moonleaf’s premium tea leaves from Taiwan lend an authentic and luxurious tea flavor. Its natural benefits make it the perfect alternative to coffee, and an invigorating treat to health enthusiasts,” shared Adrian Adriano, Chief Executive Officer of Moonleaf Tea Shop. Moonleaf started out as a quaint shop along Magiting Street, UP Teacher’s Village in Diliman, Quezon City in 2010. Their homey interiors and wide variety of tea concoctions attracted crowds of young urban professionals and students. Moonleaf’s tea drinks and mixes are made from top-quality tea leaves that are freshly-brewed, steeped and served in authentic Taiwanese tradition. Today, Moonleaf has more than 30 branches nationwide, and very soon, it will be expanding its reach outside the Philippines. This entry was posted in Hot Drinks, Moonleaf Tea Shop, Press Release. Bookmark the permalink. 2 Responses to Hot Drinks Now Available at Moonleaf Tea Shop!